Would life be better if you didn't exist? Would anyone notice if you just stop talking? Would anyone care if you suddenly disappear? This is the premise of Without Merit. A novel written by Colleen Hoover that does not focus on a love angle alone but talks about family, secrets, pride, misconception, perception, and depression. It discusses what goes behind closed doors and how, when we allow what we think to be real, relationships can simply fall apart. 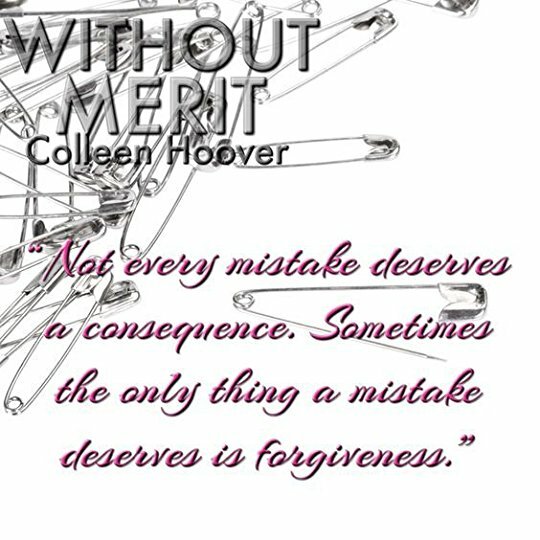 Without Merit also talks about the power of forgiveness and how not every mistake has to have a consequence. If you are in a family that has strained ties or has someone in your life you've lost because of a mistake, this book is a must read.